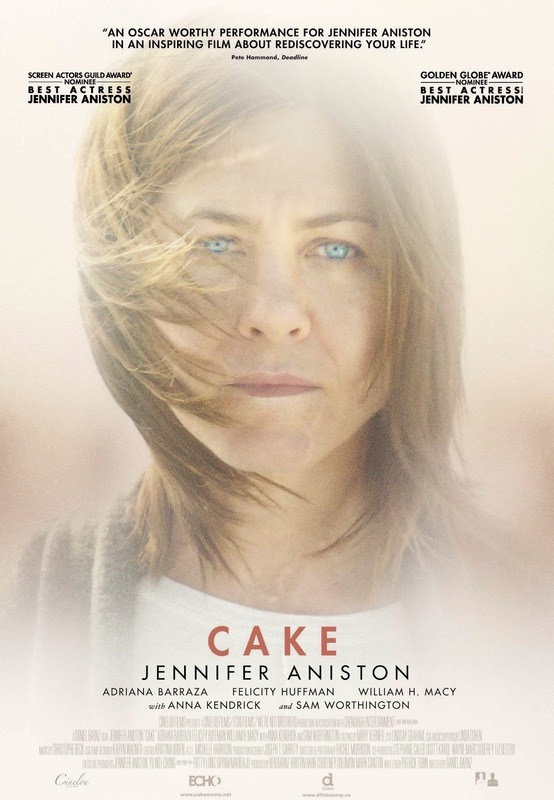 Synopsis: The acerbic, hilarious Claire Simmons (Aniston) becomes fascinated by the suicide of a woman, Nina (Kendrick), in her chronic pain support group. As she uncovers the details of Nina's suicide and develops a poignant relationship with Nina's husband, she also grapples with her own, very raw personal tragedy. Bonus entries go to anyone who likes/shares this contest on Facebook and Twitter! Contest closes Wednesday, January 14 at 9am EST. Cake opens in theatres January 23 from D Films.